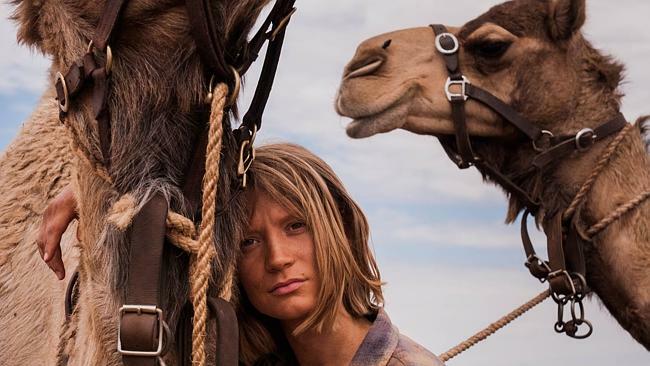 TRACKS took a journey of 36 years to get from Robyn Davidson’s astounding trek (1977) to her acclaimed book (1980), to this arresting film (2013). The trek was a nine-month solo journey across 2,000 miles of the Australian Outback, from Ayer’s Rock to the Indian Ocean. Accompanied by four camels and her dog, her solitude punctuated by occasional encounters with helpful bushmen and periodic visits from a pesky National Geographic photographer, Davidson endured myriad hardships on a staggering and stunning trip she felt ‘had’ to take, for reasons known only to her—the solo wanderer’s “because it’s there”. The book is regarded as a modern travel classic, and there were a half-dozen false starts at filming it over the years, with the likes of Julia Roberts and Nicole Kidman attached to efforts, but the projects failed for various reasons and the interested actresses outgrew the part, age wise, (Davidson was 27 when she struck out into the desert, with beasts and pooch). Excellently directed by John Curran, the film takes 113 minutes to flesh out the prickly (quite), indefatigable Davidson’s quest, beautifully shot by Mandy Walker, unobtrusively scored by Garth Stevenson. 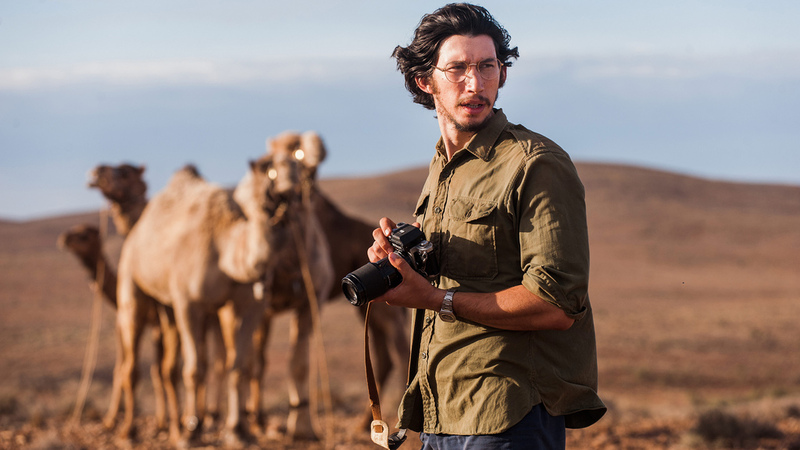 Mia Wasikowska does a fine job as the difficult heroine, and Adam Driver is equally good as the initially irritating, but doggedly chipper photographer. Wasikowska, 24, has the right look and manner for the part. The previous contenders would have no doubt been fine, and their star-status would likely have made for a bigger draw (this film earned only $4,800,000 back on its budget of $12,000,000) but the less-familiar leading lady allows you to be drawn into the story proper more than if you were focusing on a famous kisser. Speaking of mugs, camels have never been showcased quite like this before. Say what you want about gun control— seeing a rut-crazed, one-ton dromedary thundering across the sands at you with foam flying from his jaws makes a handy rifle seem like a pretty smart item to pack. With Rolley Mintuma, Brendan Maclean, Rainer Bock, Jessica Tovey and Emma Booth.